Fort Lauderdale International Boat Show, 1-5 November 2017, Bahia Mar/Hall Of Fame/Las Olas Marina Show 2017, Yellow Zone Land booth 1077-1078. 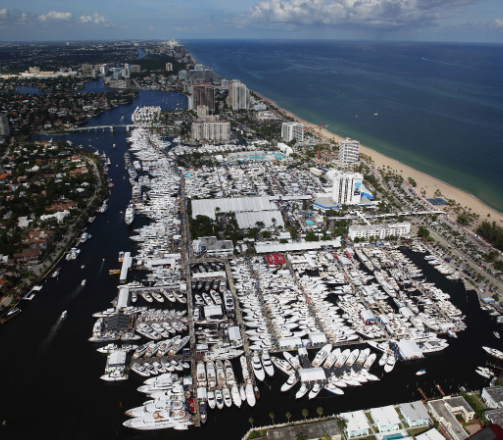 British diesel engine innovator, Cox Powertrain, makes its Fort Lauderdale International Boat Show debut today alongside its US distributor network, which comprises some of the USA’s most prominent diesel engine sales and service specialists. Visitors to the show will get a first look at the world’s first 300hp diesel outboard engine via the latest full-size model, which offers a sneak preview of the advanced engine layout. Seven of Cox Powertrain’s US distributors will come together for the first time on a Cox booth to talk about the ground-breaking technology that makes the CXO300 so special. Joining Dania Beach-based Sun Power Diesel, who was announced last month as Cox Powertrain’s Florida distributor, will be representatives from Louisiana based Innovative Diesel Technology, Texas-based Elite Diesel, South Carolina based Superior Diesel, Massachusetts based Power Product Systems, New Jersey-based Johnson Towers and the West Coast-based Boatswain’s Locker. The CXO300 is the highest power density diesel outboard engine ever developed. With petrol now not permitted on an increasing number of vessels, the introduction of a viable diesel outboard that offers a comparable power and weight of a gasoline engine will be transformational for the sports fishing, luxury and superyacht industries. Delivering 300hp and weighing only 330kg, it offers significantly lower running costs than its gasoline equivalent, longer service intervals and an expected lifecycle three times longer than a gasoline outboard.